Selangor also known by its Arabic honorific, Darul Ehsan, or "Abode of Sincerity" is one of the 13 states of Malaysia. It is on the west coast of Peninsular Malaysia and is bordered by Perak to the north, Pahang to the east, Negeri Sembilan to the south and the Strait of Malacca to the west. It surrounds the federal territories of Kuala Lumpur and Putrajaya, both of which were once under Selangor's territorial sovereignty. The state capital is Shah Alam, however the first city in Selangor, and the royal capital is Klang. Another major urban centre is Petaling Jaya which was awarded city status on 20 June 2006. 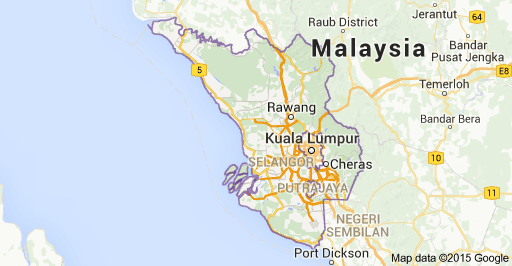 Selangor is one of only two Malaysian states with more than one city; the other is Sarawak. Selangor has the largest city in Malaysia and it is growing rapidly due to modernisation in the Klang Valley. Selangor has the largest population in Malaysia at 5,411,324 as of 2010.The state's ethnic composition consists of Malay 57.1%, Chinese 28.6%, Indian 13.5%, and other ethnic groups 0.8%.